Momentum Tire & Car Care opened in 2017 in Hickory, NC as an automotive repair center and TIA-certified tire dealership serving Hickory, NC, Morganton, NC, Newton, NC, and surrounding areas. Although our business is new, we’re experienced in auto repairs. Our owner, general manager, and master technician have more than 85 years of combined experience with Clark Tire. We feature state-of-the-art equipment and digital technology, making us your one-stop shop for all automotive needs. Momentum Tire & Car Care is conveniently located at 1040 Lenoir Rhyne Boulevard Southeast in Hickory, NC. We’re open Monday through Friday 7:30 AM to 6:00 PM and Saturday 7:30 AM to 4:00 PM. We have free Wi-Fi with complimentary bottled water and coffee in our waiting area. Ask about our shuttle service. Call (828) 855-3336 if you need roadside assistance. Momentum Tire & Car Care is ready to handle your preventive maintenance, tire services, and repairs. 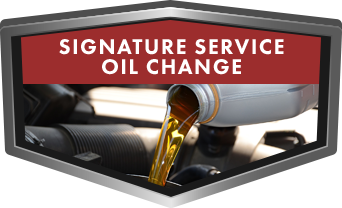 See us for oil changes, other preventive maintenance, TPMS repairs, other tire services, vehicle inspections, diagnostics, wheel alignments, diesel engine system repairs, brake repairs, and other general repairs.